Searching for yacht’s carpet cleaning services near you, don’t worry now you can depend on In and Out steamers best yacht’s carpet cleaning service near you. With 8 years of experience in cleaning within Homestead, Florida we know exactly what is required to maintain and defend your interiors. We understand that keeping your Yacht carpet and upholstery is not an easy task with all the traffic, humidity that may cause stains on your yachts carpet or accidents from drink spills or food spills. We have got the equipment to perform cleaning of your carpet and upholstery to keep its splendor and keep your Yacht looks new. We offer professional upholstery and mattress cleaning for Yacht interiors, our deep upholstery cleaning process can bring your Yacht upholstery back to existence. Our cleaning system removes dust amassed, spots, and fabric oxidation and refreshes your upholstery. Call us today to schedule your appointment or request. 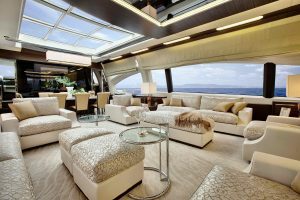 We additionally provide rug cleaning service for Yacht interiors as well. Areas we provide our Yacht carpet and upholstery cleaning services in Homestead, Pompano Beach, West Palm Beach, Weston, Coral Springs, Cutler Bay, Margate, Miramar, Palmetto Bay, Wellington. We use a cleaning method that is safe, hygienic and may refresh, deodorize and sanitize your mattresses. Dust-mites are microscopic parasites which feed on lifeless pores and skin cells and different debris. Their excrement can lead to real health problems or even breathing related issues. Bedbugs have become a real modern day nightmare and preliminary infestations and have a tendency to be around beds, however, the insects can also spread to the adjoining rooms. Our yacht carpet cleaning and yacht upholstery cleaning crew are experienced, attentive, and fastidiously skilled. In and Out Steamers is a family owned business with a mixed revel in of over 8 years of working experience. All our crew are professionally educated, licensed, and fully geared up to deal with all kinds of your yacht’s cleaning services no matter what time of the day it is. In and Out Steamers only employ the most certified technicians for your yachts cleaning services. We offer 24 hours’ availability and warranty. We’re passionate in providing our customers the most secure organic carpet cleaning services in the United States and we’re confident that you’ll be satisfied–that’s why we provide a 100% service guaranty! Just call us 954-998-6988 and we will be there in your service. We serve our clients 24/7. We are open on Sunday as well. We provide Eco-Friendly Yachts Cleaning Services. Searching for yacht’s carpet cleaning services near you, don't worry now you can depend on In and Out steamers best yacht's carpet cleaning service near you. With 8 years of experience in cleaning within Homestead, Florida we know exactly what is required to maintain and defend your interiors. All our crew are professionally educated, licensed, and fully geared up to deal with all kinds of your yacht’s cleaning services no matter what time of the day it is. In and Out Steamers only employ the most certified technicians for your yachts cleaning services. We offer 24 hours’ availability and warranty. We’re passionate in providing our customers the most secure organic carpet cleaning services in the United States and we’re confident that you'll be satisfied–that’s why we provide a 100% service guaranty! Just call us 954-998-6988 and we will be there in your service. We serve our clients 24/7. We are open on Sunday as well. We provide Eco-Friendly Yachts Cleaning Services.